This Southern-inspired sangria is perfect for porch sipping. Salads are great to pack for an easy, healthy lunch, take on the go or even serve at a party. 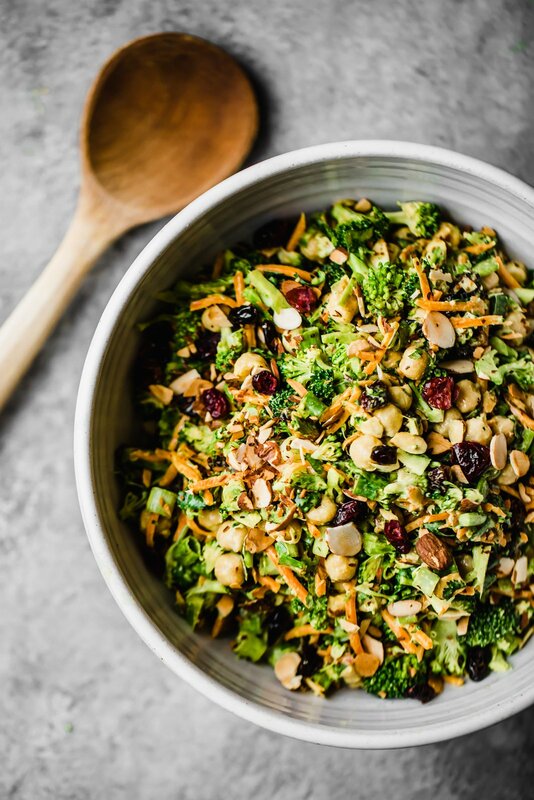 This curried broccoli chickpea salad is my new personal favorite. It’s BEAUTIFUL, crunchy, packed with veggies, protein and sweet and savory flavors dancing together. What says Easter more than Carrot Cake? 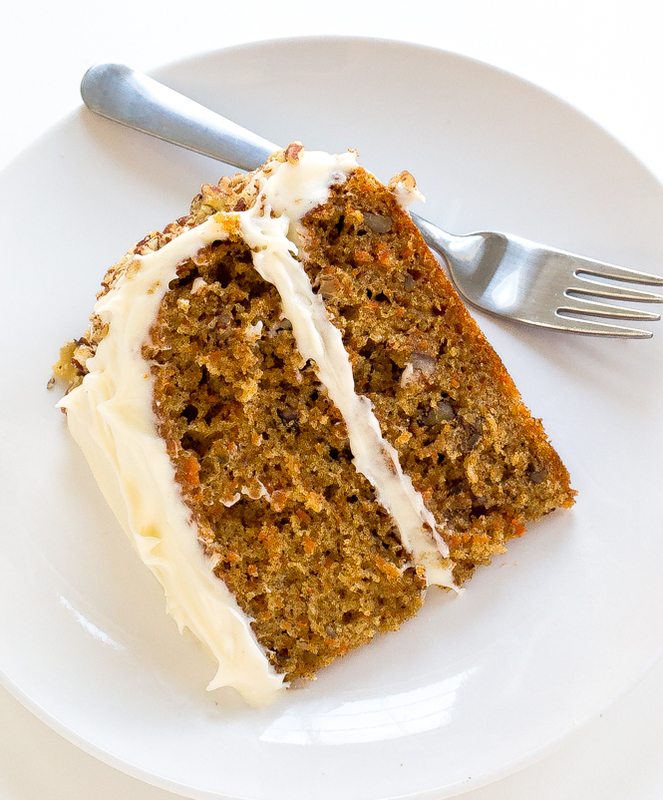 This Carrot Cake is super moist, soft with just the right amount of spice. It’s the perfect way to celebrate the start of Spring! Posted on March 22, 2019 March 22, 2019 Categories Market MinuteTags grosvenor, market, meat, Pasta, TurkeyLeave a comment on New products this week! Posted on March 17, 2019 Categories In the NeighborhoodTags charity, Leagueofwomen, Montgomerycounty, WomenLeave a comment on A Good Cause…. We again had a very successful American Cancer Society plant sale. We raised approximately $1,600. Pictured below are some of our volunteers. Posted on March 13, 2019 March 13, 2019 Categories Store EventsTags events, february, fun, happybithday, store, storeeventsLeave a comment on February Birthdays! Crispy, crunchy tortilla chips covered in gooey, melty cheese, spicy salsa, and creamy beans is the most underrated weeknight dinner out there. Yes, I’m talking about nachos — but not just any nachos. These restaurant-style sheet pan nachos have a secret sauce that coats each and every chip in spiced meat and cheese. This super-smart technique singlehandedly changes the game when it comes to nachos at home. Chicken Parmesan just got a Tex-Mex twist. We swapped out all the classic Italian ingredients for tortilla chips, spicy cheese and salsa. But if you truly miss the Parmesan in your Parmesan, then add a sprinkle or two to the finished dish. Put the chips in a food processor and pulse until they are finely ground; set aside. Slice the chicken breasts in half horizontally so you have 4 thin chicken cutlets. Set up a breading station with 3 shallow dishes: Stir together the flour, chili powder and 1/2 teaspoon salt in the first dish. Beat the eggs in the second dish and add the tortilla chips to the third dish. Coat a cutlet in the flour. Dip in the egg, letting any excess drip off and then press into the tortilla chips. Transfer to a plate and bread the remaining cutlets. Heat 1/4 cup of the oil in a large nonstick skillet over medium heat until a piece of the breading sizzles when added to the oil. Add 2 breaded cutlets to the oil, making sure they don’t touch each other. Fry until golden brown on both sides, 3 to 4 minutes per side. Remove to a paper towel-lined plate. Add the remaining 1/4 cup oil to the skillet, heat and then fry the remaining cutlets. Evenly spread 1/2 cup salsa on the bottom of a 9-by-13-inch baking dish. Arrange the chicken in a single layer on top. Pour 1/4 cup of salsa on top of each piece of chicken. Shingle the cheese evenly over the chicken. Bake until the cheese is bubbling and golden brown, 25 to 30 minutes. Sprinkle with the jalapeno and cilantro. A banana split for breakfast? Oh, yes! This quick, easy breakfast takes a dessert classic and lightens it up for the morning with ultra-creamy Greek yogurt and a warm drizzle of jam. This is such a simple idea, it hardly needs a recipe, but here’s one just so you can see what the geniuses at thekitchen.com did.